What happens when you close the lid on your laptop? 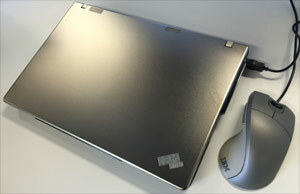 Do you know what your laptop does when you close the lid without powering it down first? Does it shut it off, or put it to Sleep mode, or Hibernate, or maybe it does nothing at all? It’s interesting to find out what people think about this process. 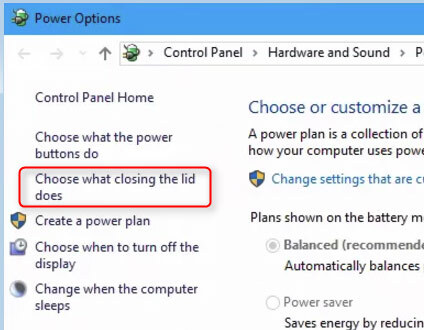 Some people assume that when they close the lid, it shuts off the power to the computer. For others, all they know is that when they open the lid the next time, they can just click to sign in and they can use the computer again (without having to wait for it to do a full bootup process). The truth is this: shutting the lid on your laptop can make the computer do whatever you want it to do. It’s fully configurable! If you don’t do anything or change anything, in most laptops the default setting is that the laptop goes into Sleep mode when the lid is closed. For some users, that’s fine. What if you want it to go into Hibernate mode, or actually fully power down, when you shut the lid? You can change that by making an adjustment in the Power Options area. In Windows 7 – click the Start button and in the search field type “power options” and you’ll see the Power Options link show up at the top of the Start menu. Click that. In Windows 8 – hold down the Windows key and tap the letter “x”. In the menu that comes up, click on Power Options. In Windows 10 – hold down the Windows key and tap the letter “x”. In the menu that comes up, click on Power Options. Then click on “Additional power settings”. At that point you should see an option on the left side that says “Choose what closing the lid does”. Doesn’t get any clearer than that, right? You might want to have it do something different if it’s running on battery, to conserve the power. But there is no right or wrong choice here – it’s whatever you prefer, based on your usage and preference. And as you can see in that screenshot, you can also choose what you want to have happen when you hit the Power button, or when you hit the Sleep button (if your laptop has one). You are in control! Is it MORE secure if we completely shut down when we are finished and does it drain the battery when in sleep or hibernate mode ? Technically, it is more secure when your computer is powered off than when it is powered on. But we can make it secure when it’s powered on too. The battery drains less when it’s in sleep mode, and even less when it’s in hibernate mode. But that doesn’t mean that’s the mode you should keep it in – there are other factors to consider. Great info, Scott. Never occurred to me that I could close the lid and not have a problem. Will go in and tell it to do nothing when lid is closed for when I’m at work and leave the room. Thank you! !